It was a Monday morning, the start of the new work week. But the week would not begin in the usual way. After the rumbling was heard, the ground began to shake. It was September 22, 1902. Witnesses walking on the perimeter of the Plaza de España said they saw wave after wave wash over the grassy field. The shaking was so strong that everyone was in a panic. Because people were already awake, people could find a safe place to ride it out and escape the destruction, which was considerable. Many stone and mortar buildings (mampostería) crumbled into dust. 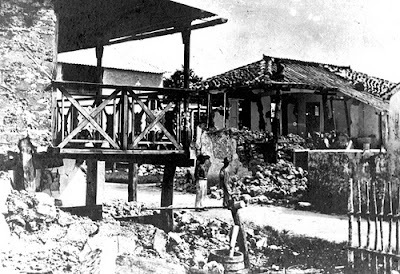 The Marine Barracks in Hagåtña collapsed. When the costs were tallied, $23,000 was estimated for the damages to the Naval Station; $22,000 for other public buildings and bridges. The total amount for earthquake damages came to $214,000. Those are in 1902 values, which would equal over $6 million today. 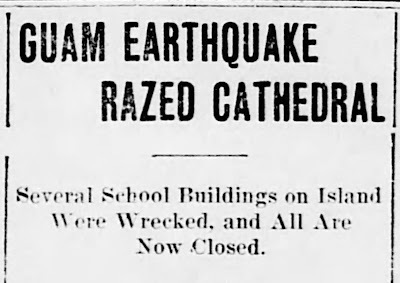 Many of those public buildings were the public schools, and they all closed for awhile. The Protestant Sunday school was used to continue some classes in English for a time. Sadly, two Chamorros died in the earthquake. There were no other casualties. People counted around 180 aftershocks in the 24 hours following the earthquake. Besides this, the island rose by a foot, some say. Some claimed Cabras Island rose by three feet. One of the important buildings severely damaged by the earthquake was the church in Hagåtña. It would take many years for it to be restored. The Chamorro people gave the 1902 a curious name. 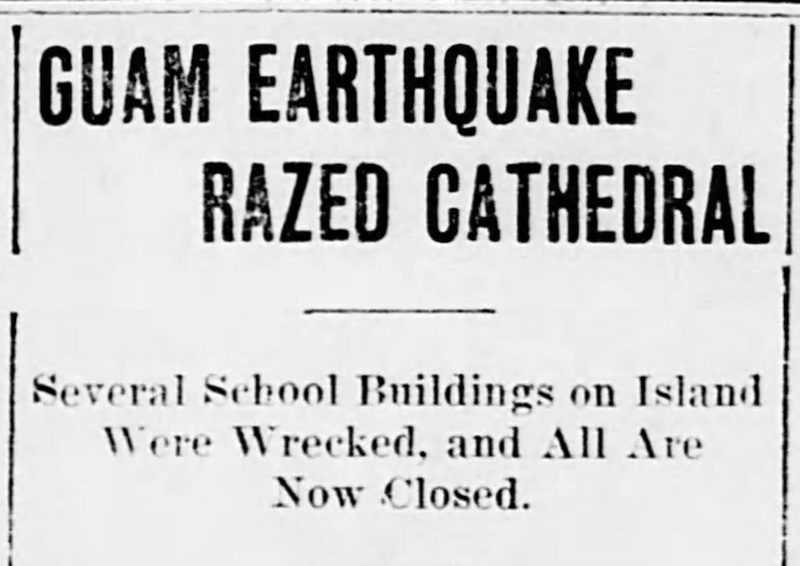 They called it the "rich man's earthquake." Linao i man riko. Why? In November of 1900 there had been a strong typhoon that hit Guam. It was said to have been the worst typhoon on Guam since 1855. Being a typhoon, the main damage was suffered by the modest homes of the middle and lower economic classes, made of wood, bamboo and thatched roofing. The stronger homes of the higher classes, made of stone and mortar, withstood the strong winds. But Mother Nature has a way of leveling the playing field. The earthquake of 1902 did little to hurt wooden homes that swayed with the earth's movements. But the earthquake had its impact on the stone and mortar homes of the wealthier families, crumbling into dust. Thus, the people called it i linao i man riko. The rich people's earthquake. 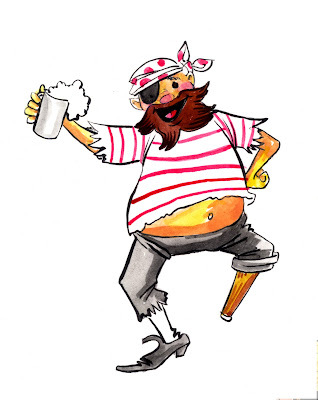 The merry beer-drinking, one-legged pirate above feels no pain, but many an older Chamorro refused to have any part of his or her body amputated or removed by doctors. "Mungnga ma utot addeng-ho sa' dos mana'i-ho as Yu'us ya dos ta'lo para bai nana'lo an måtai yo'." "Don't cut my foot off because God gave me two of them and two I will return to Him when I die." "Kabåles yo' ha fa'tinas si Yu'us, ya kabåles yo' para bai måtai." "God made me complete, and I will die complete." This went for anything; fingers and internal organs, as well; even if it meant certain death if the diseased body part were not removed. The logic, of course, is wanting. Accidents happen, too, and people unintentionally lose a finger or a toe here and there. They won't be condemned by God for that on judgment day. 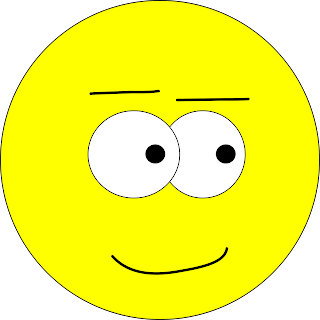 God Himself, in the Old Testament, decreed that the Jews at the time even remove part of the skin of the male organ. Not to mention our ever-falling hair and ever-shedding skin. But, in the minds of some older people, no body part should ever be intentionally amputated, regardless the medical issue. A court case in 1902 gives us some insight into island life over 100 years ago. Some people kept dogs and gave them names. And some of these dogs were used to help hunt deer, and perhaps other animals in the wild. 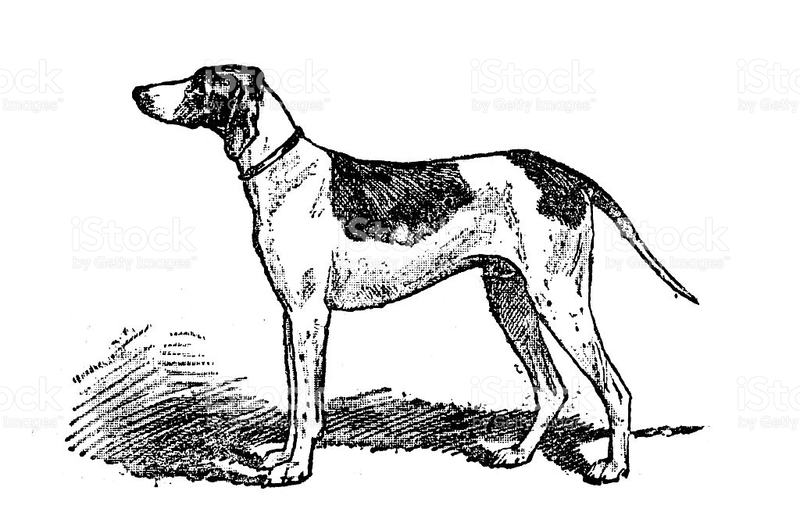 Around 1901, Pedro Torres Hernández asked to borrow a dog owned by Luís Palomo San Nicolás. The dog was named Fortuna. In Spanish, the word can mean "fortune, luck or success." The court document is in Spanish, so we don't know if the dog had that Spanish name, or if the court document translated the dog's Chamorro name into the Spanish "Fortuna," if it indeed had a Chamorro name, such as Guinaha or Suette. San Nicolás lent Fortuna to Hernández, on the condition that he return the dog. A year passed and the dog was not returned. Meanwhile, Hernández had taught Fortuna how to hunt deer. San Nicolás went to court, asking the court to require Hernández to return the dog. Hernández answered that he was more than willing to return the dog, but that San Nicolás had never asked for it back. Additionally, Hernández asked that San Nicolás pay the court fees since all this could have been avoided had San Nicolás merely asked for he dog back. On top of all that, Hernández asked that San Nicolás pay him six pesos for teaching Fortuna how to hunt! San Nicolás replied that he in fact did ask for the dog back, when he met Hernández on the road in Apotguan. He also spoke to Marcos de Castro, better known as "Sarmiento," who said that Hernández was selling two dogs, a Fortuna and a Perita. San Nicolás told Castro that Hernández had no right to sell Fortuna as the dog did not belong to him. San Nicolás also said he already paid Hernández six pesos for teaching the dog how to hunt, and that he had witnesses to vouch for this. 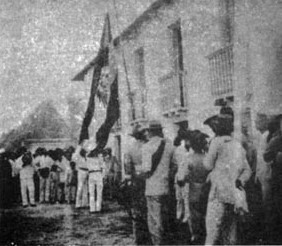 Hernández backed down and agreed to return Fortuna to San Nicolás and the case was closed. This is an example of the kassi (teasing) or butlea (mocking) side of our humor, which goes all the way back to pre-European times. Early visitors to the Marianas describe our ancestors teasing and ridiculing each other in word and song. ke ni un låla'la' gi tano'. than for you to live in this world. "ON MY WAY TO BUY ATULAI"
February is usually not the main season for catching atulai (mackerel). July to October are the busier atulai months. But, in February of 1902, Don Venancio Sablan Roberto was doing a brisk business selling them out of his house in Hagåtña. Roberto was a leading citizen of Guam and most likely had hired fishermen to catch fish for him to sell. 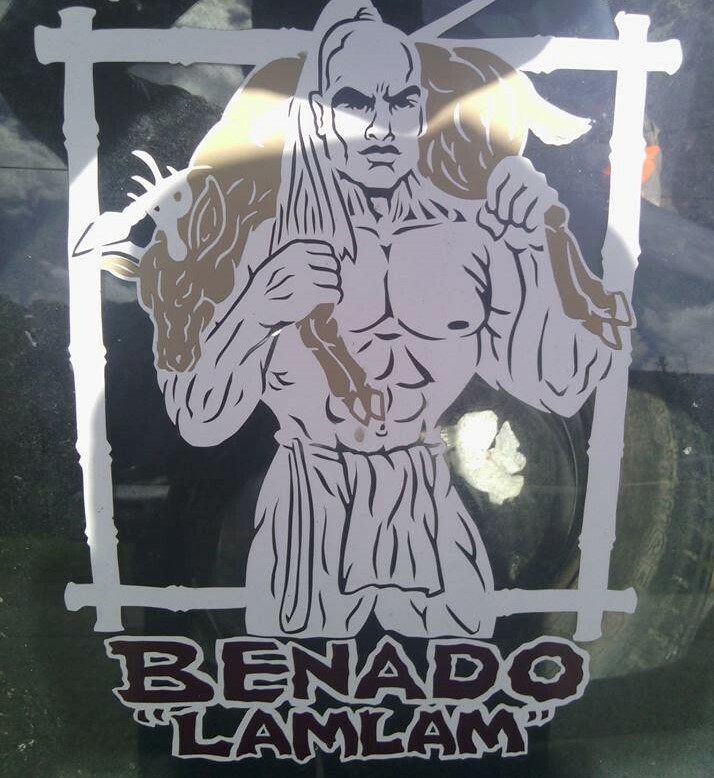 Another well-connected Guam citizen, Don Antonio Martínez Torres, sent one of his muchachos, or domestic boys, to pick up his order of atulai from Roberto. His name was Antonio Martínez Santos, a boy of just 12 years. As he waited at Roberto's, he saw another lad, Joaquín Iriarte Celis. According to Santos, Celis started a fight, which ended with Celis giving Santos a bloody nose. Since Roberto was attracting customers to buy his atulai, there was no lack of witnesses; others who were there to buy fish. Joaquín Pablo Reyes, Rosa Matanane Taitano and Juana Baza Benavente (Juana'n Emmo') all testified that either they saw Santos with a bloody nose, or that Celis punched Santos. Celis had a somewhat different story to tell. 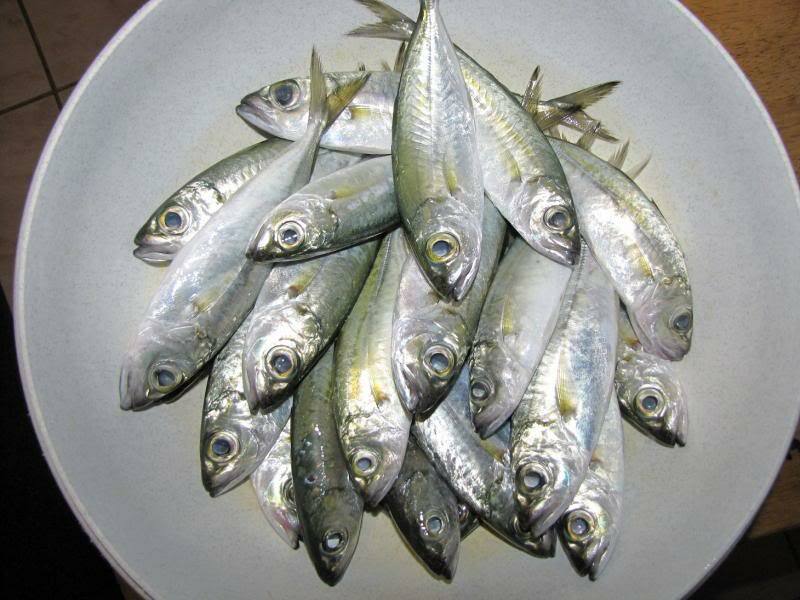 He said he was at Roberto's waiting to buy his boss some fish, when Santos called out to him, "Hoi! Kaduko!" ("Hey! Crazy!") Celis said he ignored Santos. But when Santos then said, "Karåho! Demonio!" ("Damn it! Demon! "), Celis punched Santos. The court took into consideration that Celis was believed to be only 13 years old. The court ordered a very curious thing. They wanted two school teachers to interview Celis and determine for the court if Celis had acquired "discernment," meaning the ability to distinguish right from wrong, and to make rational decisions. Two leading teachers, Luís Díaz de Torres and Manuel Rosario Sablan, rendered the following judgment : in the Marianas, the ability to discern is not reached till between fourteen and sixteen years of age. When Celis' true age of 12 years was verified by his baptismal record, Celis was let off the hook. 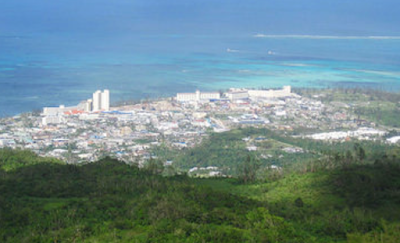 From many parts on Saipan, one can clearly see its highest point - Mount Takpochao - which rises to 1555 feet. That is around 400 feet higher than Guam's Mount Lamlam. But surrounding Takpochao are other high points slightly below it. 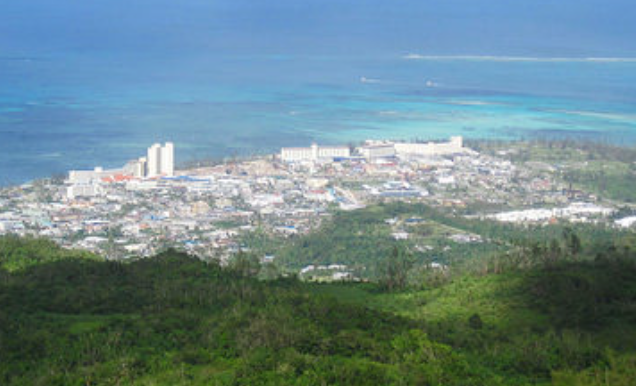 The second highest peak on Saipan is to the west of Takpochao and it rises to 1000 feet. It is called Okso' Tipo' Påle'. Okso' is hill or mount. Tipo' comes from tupo' which means a well, as in a water well. 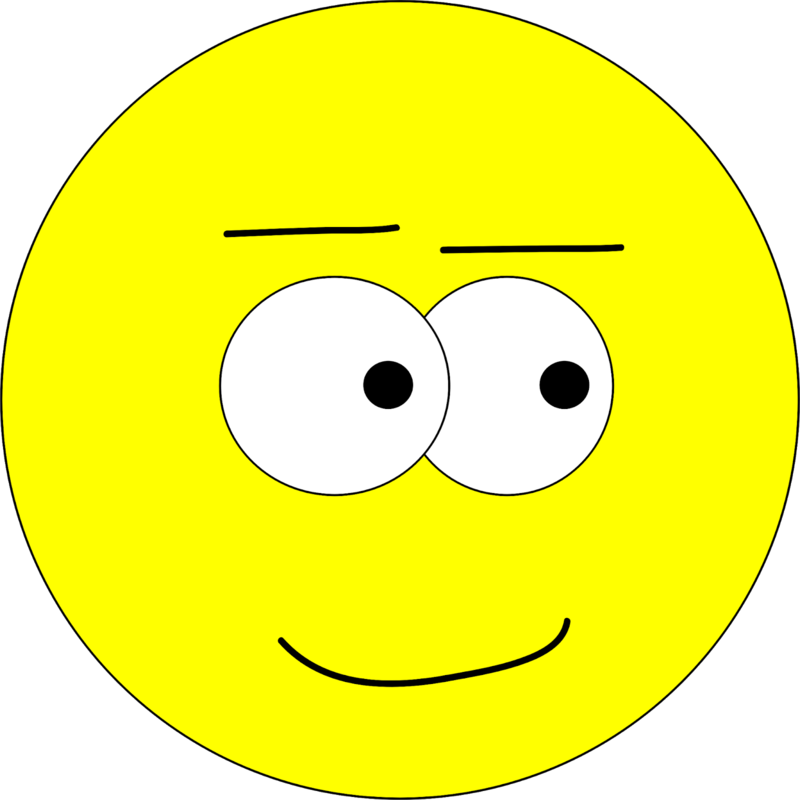 When one places the definite article "i," meaning "the," tupo' becomes i tipo'. So, perhaps, the place was named after a priest who dug a well there. Why a priest would dig a well on a hill 1000 feet high is anybody's guess. Perhaps a priest found a well there. Maybe it was named for a priest for other reasons. 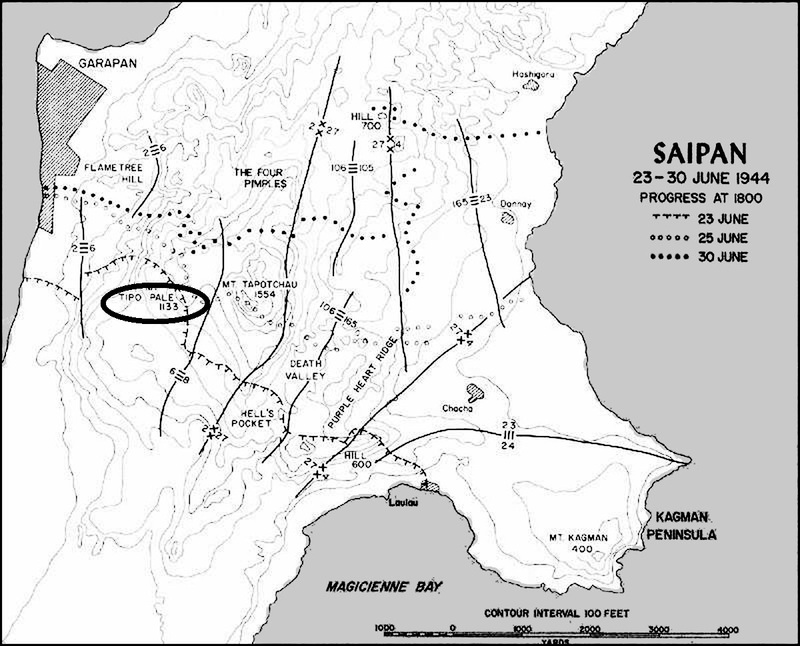 The Americans, when taking over Saipan in 1944, wanted Mount Takpochao very badly. From this high ground, the Americans could do much to take control from the Japanese. But, on the way up to Takpochao, the Americans had to first lay their hands on Tipo' Påle'. 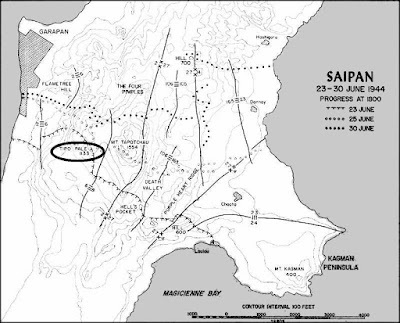 The modern name for Saipan's highest peak is Tapochau (or Tapochao) but the original Chamorro name is Takpochau (or Takpochao). Before modern commercial goods were shipped into the Marianas, our people lived mainly off the resources of the land and sea. In building homes of the modest classes, this meant using bamboo, wood and sturdy palms like åkgak (pandanus) for interior partitions and nipa for roofing. But for those with the money, houses could be made of stone and mortar. 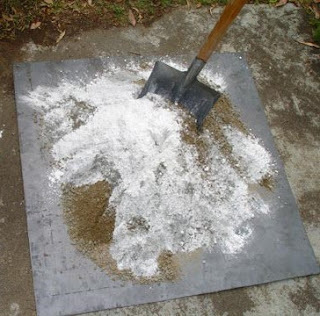 The mortar was a mixture of åfok (powdered limestone rock), sand, water and often some oil, used to bind the stones together once the mortar dried. This type of construction, using stone and mortar, is called mampostería. In 1902, Manuel Camacho Aflague, the Justice of the Peace in the Guam court, contracted with Félix Palomo de León, better known as Félix Mundo, to provide Aflague with the lime necessary for the building of a new house in Hagåtña. Being a court official, Aflague had the means to build a house of mampostería. Also because he was a court official, it is no surprise that Aflague took Mundo to court when things didn't turn out well. According to Aflague, the lime that Mundo supplied ran out and the house wasn't finished yet. Aflague asked Mundo to get more lime, but Mundo refused, saying that he had given Aflague enough lime for the house. Aflague had paid for the lime by giving Mundo two karabao, one valued at 70 pesos and the other at 80 pesos. Aflague asked the court to compel Mundo to complete the supply of åfok or pay him in cash the value of the undelivered åfok. Appearing before a substitute judge, since Aflague would normally hear such cases, Mundo pointed out that he had given Aflague sufficient lime for the house, but that Aflague had diverted some of the lime to the building of an outside toilet at the same site. Mundo pleaded with Aflague to release him from the obligation to supply more lime, since Mundo was a poor man. Aflague agreed and released him from the obligation, provided Mundo pay the cost of the hearing. Mundo complied and the case was closed. Lesson learned. 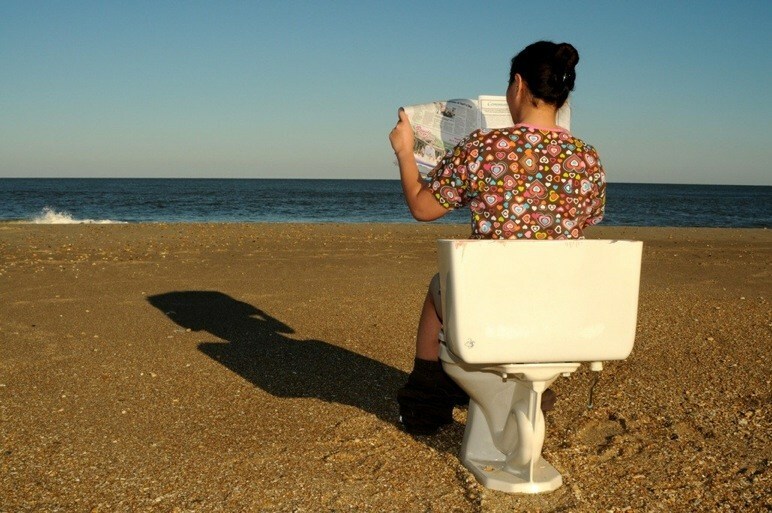 When building a house (in 1900), make sure to include plans for an outdoor toilet from the beginning of calculations! Germany took control of the Northern Marianas in November of 1899. As colonial administrators, the Germans were noted for record-keeping. One example of this was an annual handbook printed by the German Colonial Office, giving information, details and statistics about all the German colonies. In German, it was called the Deutsches Kolonial-Handbuch. 1. Now we see that the Chamorro population outnumbered the Carolinian. For most of the 1800s, the Carolinians outnumbered the Chamorros. But by the 1880s, the number of Chamorros moving from Guam to Saipan increased, and this number swelled in the early 1900s. Free land in Saipan was part of the attraction, as the Germans tried to entice Guam Chamorros to move to Saipan, which needed a larger population. 2. The "Malayans" were Indonesians recruited by the Dutch and hired out to the Germans to work as policemen. When the Germans first took over the Northern Marianas, they weren't too sure how law-abiding the islanders would be. They used these Indonesians, therefore, as their police force. Very quickly, however, the Germans understood that the Chamorros and Carolinians were peaceable and the Indonesians were sent elsewhere and the local police force was then made up by Chamorros and Carolinians. 3. The dozen Japanese residents were involved in trade and commerce, or worked for those businesses. Some of them already married Chamorro women by then. 4. Just as in Guam, there were always a few Filipinos who had come over during Spanish times when both the Philippines and the Marianas were under Spain. The Marianas, in fact, were a province of the Philippines for a time. Most had married Chamorro women. 5. The resident Germans were the colonial officers and the two Spaniards were Augustinian Recollect priests left-over from the Spanish administration. German Capuchin missionaries would not replace them for a few more years still. It's not the trousers that make the man, but his actions. 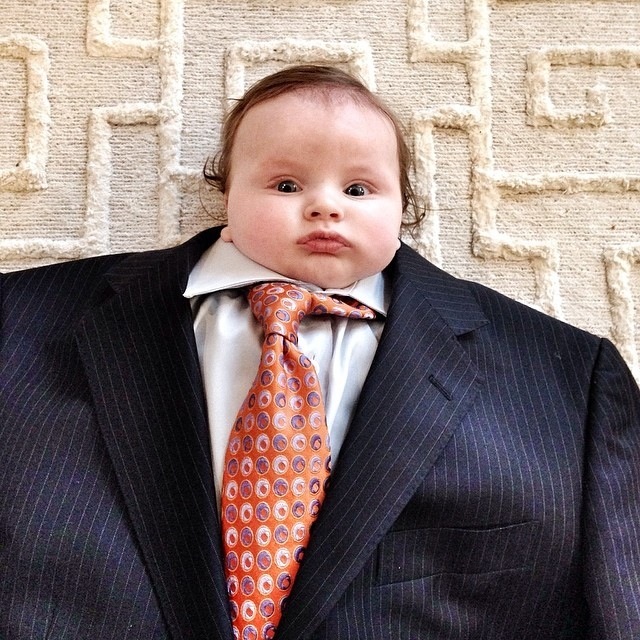 A baby in a suit is still a baby. There is an old saying in many Western languages. "It's not the habit that makes the monk." A habit is the religious garb of a monk. Just because a man wears a monk's habit doesn't make him a good or holy monk who fulfills his obligations. Likewise, anybody in a uniform or anybody in a grown man's suit doesn't automatically fulfill the role the are dressed to be. Clothing is the outward expression of an inner reality that should be there. Besides clothing, titles do not guarantee anything. Someone might have a high title, but that is no guarantee about that person's character or performance. The other side of this coin is that a young teenager, by his deeds, can prove himself to already be a man. Like the teenage boy who amazed the public when he swam to save his drowning brother, or the teenage girl who single handedly saved the house from burning to the ground when no one else was around. Our people were really into tobacco in the 1700 and 1800s. Tobacco was so prized by our people that they were willing to be paid with tobacco. The Spanish government often did just that; pay government workers with tobacco. "Some days later I visited the village of Mongmong.... 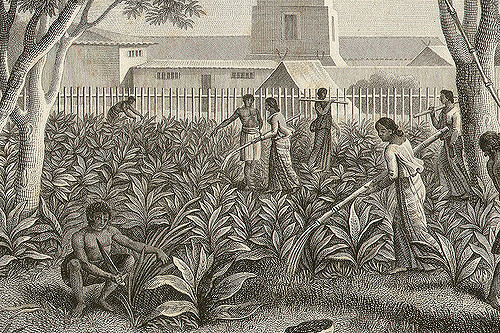 Some corn, rice and tobacco - the basic crops of the land - were grown there. I went to pay a visit to the highest official in the place, the gobernadorcillo or kind of mayor. I was next presented to his wife, a formidable-looking woman... Without taking her cigar out of her mouth, she replied to the greeting that I had learned earlier. When I said, "Ave María purísima," the woman mumbled, without lifting her eyes a bit, "Sin pecado concebida." 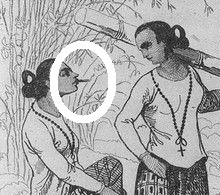 "The women wore nothing on their heads or on their feet, it is true, but they were decently clothed in a skirt and a jacket, with cigars in their mouths...."
One of the reasons why Chamorros in the old days were so fond of tobacco is because it was successfully and easily grown here. It was brought to the Marianas during Spanish times, probably very early after the arrival of Sanvitores in 1668. Our tropical climate made it easy for the plant to grow here. Nearly everyone who grew anything grew even a little tobacco. Rose Freycinet, wife of the French explorer, described in 1819 how the spaces in between the houses in Hagåtña were used to grow a little tobacco. 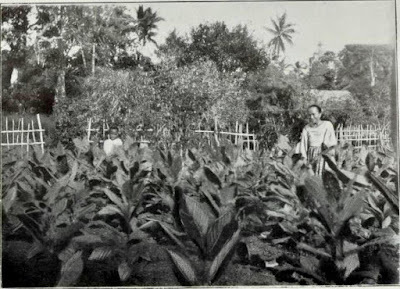 For bigger plantings of tobacco, the American William Safford, living on Guam between 1899 and 1900, said that the best places for growing tobacco were Santa Rosa, Yigo, Fina'guåyok and Matåguak in the north and Yoña in the south. 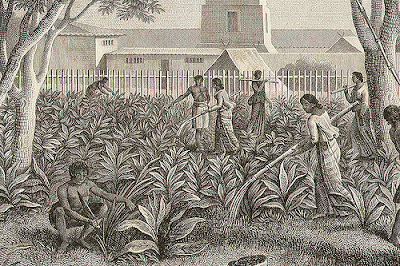 Although tobacco took easily to Guam's climate and soil, tobacco was not, in fact, "easy" to grow. Great care had to be taken to grow the seedlings in beds before transferring them to the soil, without damaging the roots. Seedlings had to be planted at the right time of year, August and September. In October and November, the seedlings are transferred to nurseries and then to the fields from December to February. 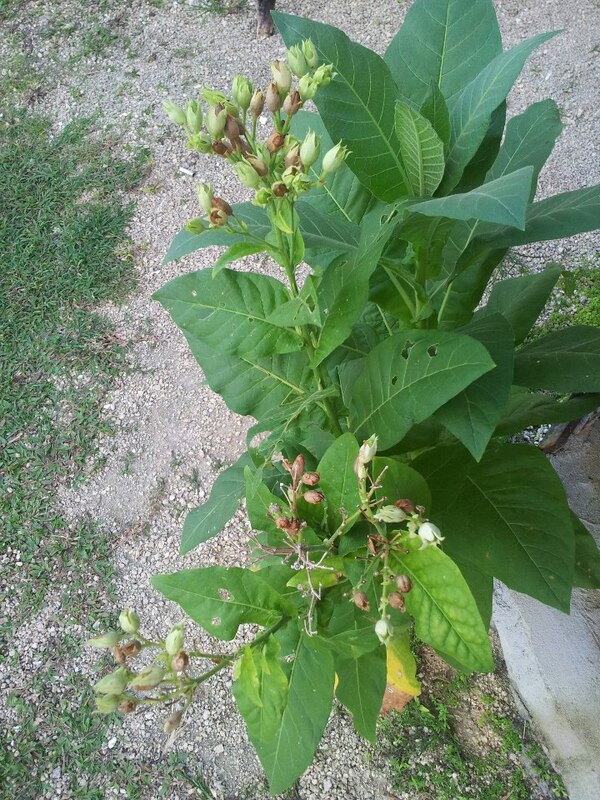 Now, as the tobacco plants start to grow in the earth, the farmer must weed the area and keep the tobacco leaves free of the sphinx moth whose larvae feeds on the leaves. 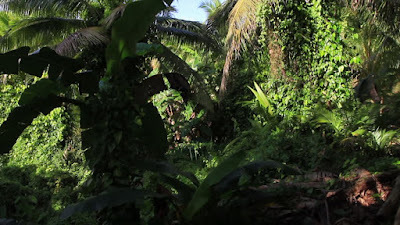 The tobacco plants can't have too much sun, so coconut palm fronds are stuck in the ground around the tobacco and bent forward to touch each other, forming a protective canopy over the tobacco plants. Side branches are plucked off so that more of the nutrients could go to the better leaves. When the plant is ready for harvesting, the whole plant is cut as close to the ground as possible and the leaves allowed to wither on the stem. Then the leaves are taken off the stem and hung to dry, usually two or three plants in a bunch. 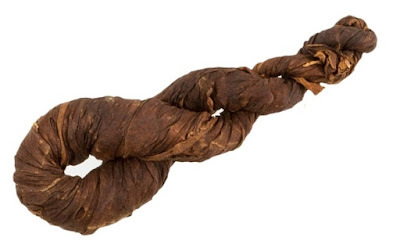 The tobacco is simply rolled, often ten leaves in a roll, called a paliyo, and fastened together by strings made of pineapple (piña) or agave fiber (lirio de palo). Who enjoyed the tobacco? Almost everybody! They rolled it into cigars or chewed it with pugua' (betel nut), pupulo (pepper leaf) and åfok (lime powder). Safford says that only the higher class women refrained from smoking or chewing tobacco, or at least didn't use tobacco in front of others. So fond were the people of local tobacco that they would buy imported tobacco only if the local supply ran out. 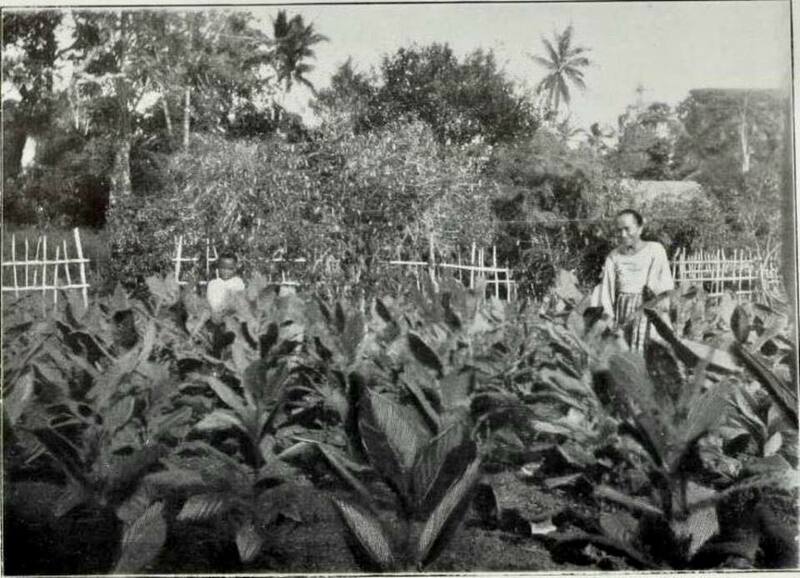 Speaking of the local supply, here's an idea how much tobacco was grown on Guam before the war. In 1919, 81 acres of land were dedicated to tobacco growing. That's not much when you consider that 2,173 acres were used for growing corn in the same year. But tobacco still outranked sugar, to which only 13 acres on island were used for growing. A little over 36,000 pounds of tobacco were harvested on Guam in 1919. After World War II, as our people switched to a cash economy and agriculture declined, due to the taking of much of the best farm lands for military use, people began to buy imported cigarettes and chewing tobacco from stores. Still, a few people grow tobacco in small quantities on Guam to this day. Well, if you really want to know a bit of island life over a hundred years ago, here it is. The facts of this story come from court records written in 1902. Before modernization, people "did their business" outside the actual home. Sometimes, there were outhouses on the property. Sometimes, there were public latrines. Some people used orinolas (bed chambers) or other containers and then disposed of the contents in the jungle or into the ocean. But....in some places, you could relieve yourself outdoors, right onto the land. The problem was, if you did so too close to someone's home, there was bound to be a quarrel. This is indeed what happened one Saturday in 1902 in the seaside village of Tepungan, located in between Asan and Piti. Some homes there were located not far from the beach, just yards away from the sand. One such home belonged to Vicenta Terlaje Quidachay. She looked out her home to see her neighbor's son, José Megofña Salas, defecating openly in the area between their houses, with his mother Ana Pérez Megofña standing nearby. Vicenta threw a stone at them and cried out, "Håfa na masisinek gue' guennao?!?" "Why is he defecating there?!?" Defending her son, Ana replied "Ya amåno mås malago'-mo para u masinek?" "And where else do you want him to defecate?" Vicenta replied sharply, "Po'lo ya u masinek gi sasalåguan!" "Let him defecate in hell!" Now it turned into an ugly verbal tirade of insults. José then said, "Åsson ya un baba i pachot-mo ya bai cho'gue guennao!" "Lie down and open your mouth and I'll do it there!" Vicenta retorted, "Cho'gue gi as nanå-mo!" "Do it on your mother!" Then, another son of Ana, Ignacio, came in from the beach and heard what was going on. He, too, joined the fight, calling Vicenta every cuss word he knew. Despite the fact that all four of these individuals hurled vulgar insults at each other, it was only Ignacio whom Vicenta took to court. Since he openly admitted he had said those things, the court found Ignacio guilty of verbal abuse and fined him. Yanggen mañule' hao håfa gi halom tåno' para åmot, hånao ha' tåtte ensegidas para gumå'-mo yan i chinilele'-mo. Cha'-mo sumusugo' pot otro lugåt fine'nana. If you take whatever from the jungle for medicine, go straight away back to your house with what you took. Don't dare go somewhere else first. A woman shared with me the story about sending her adult daughter to the jungle to get some herbs for medicine. The lady strictly told her daughter to come right back home after doing so, without making any stops whatsoever. It must have slipped the daughter's mind because, on the way back home, with the herbs in the front passenger's seat, she decided to stop by a neighborhood store to buy something. When she returned to the car, all the herbs had disappeared. Nothing else in the car was amiss, only the vanished herbs. "The taotaomo'na didn't allow her to reach home with the herbs, since she made a stop somewhere," the mother told me. Zinc was all the rage in the Marianas in the late 1800s. Called sin in Chamorro, using the Spanish word for "zinc," "cinc" or "zinc." It was used for roofing on select government and church buildings, and on the homes of the rare wealthy families. Japanese merchants in the Marianas, on the rise since the 1890s, helped bring in more zinc products. The Hagåtña store keeper Yoshinori Seimiya was one such Japanese supplier of zinc merchandise. 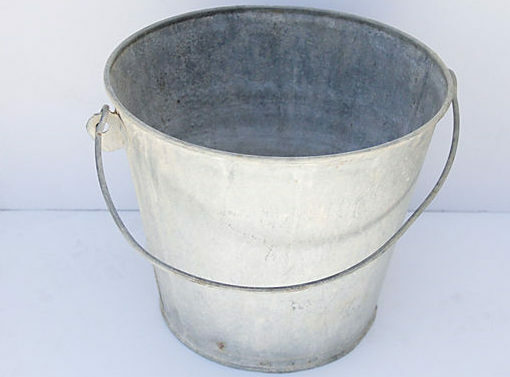 Josefa Torres de Borja bought a zinc pail from Seimiya in the early 1900s. She then gave it to Rita Aguon Watkins, the wife of Calixto (sometimes Calistro) Torres Taitano. One day, Rita left the pail at the hotno (oven) of Justo de León Guerrero at his house in Hagåtña. She intended to get water from Justo's well, but got busy with baking bread. She decided to send one of her children later to get the pail, but they discovered that it was gone. Rita then saw Catalina Aguon walking with the pail in hand. Catalina was on her way to fetch water at Justo's well. Rita followed and snatched the pail from Catalina, stating that it was hers. The matter went to court! Rita presented her witnesses who vouched that the pail belonged to Rita. Catalina also produced her witnesses she hoped would testify that the pail belonged to Catalina. Unfortunately for Catalina, the best her witnesses could say was that the pail looked like one that belonged to Catalina, but could not state that it was the exact pail owned by Catalina. The court awarded the pail to Rita. On a side note, when aluminum was introduced to the Marianas, it looked like zinc so Chamorros called aluminum sin, as well. 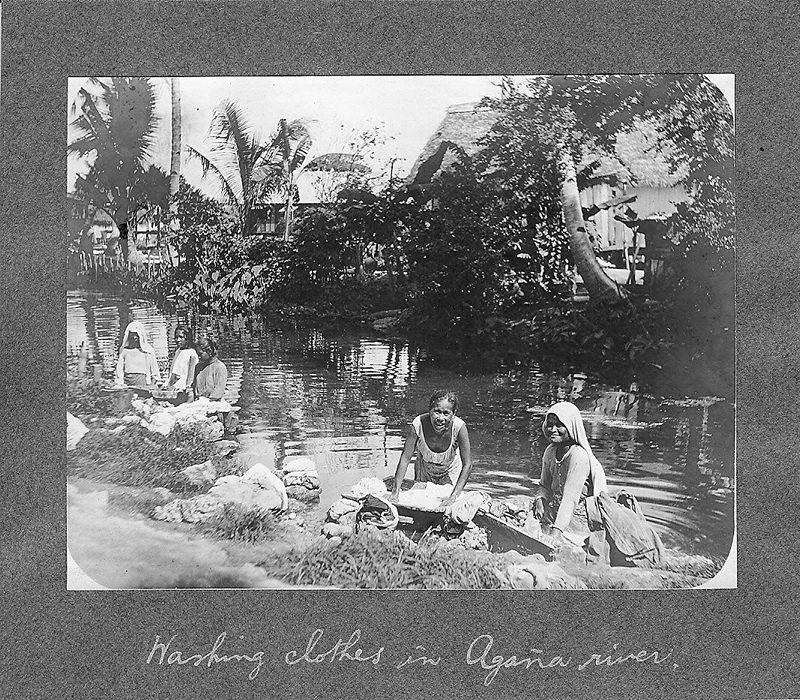 A river flowed through Hagåtña, but people didn't drink from it. People did their laundry and other washing in the river. At least they didn't (normally) go to the bathroom in it. There were at least three different ways to get drinking water. One was to catch rain from the roof tops. One common way to do that was to put big clay pots called tinåha underneath the roof and the rain water would fall into them. A second way was to transport fresh water from the spring in Didigue or from the river in Fonte. But that necessitated bringing an animal-lead cart. Thus, no drinking from it! The more common way to get drinking water was from wells dug right in your own back yard in Hagåtña. The soil in Hagåtña is made of coral limestone. The rain falls onto this ground and percolates downward till it hits a solid slab of rock and stays there. The problem with well water, though, was that it collected a lot of residue, such as the coral rock but also animal feces, as animals defecated on the same soil. People in the city kept animals around and even underneath their homes. The American Naval Government would in time clamp down on this, issuing regulations but not ridding the city entirely of animals. It couldn't. People depended on the animals for transportation and food. But due to the brackish quality of the well water, and the animal waste, people often got sick from it. In time, the Naval Government had water piped in from cleaner sources outside the city.